Initial > Innovation > Initial and L’Oréal join forces to accelerate the development of thermoplastic parts using 3D printing. Initial and L’Oréal join forces to accelerate the development of thermoplastic parts using 3D printing. 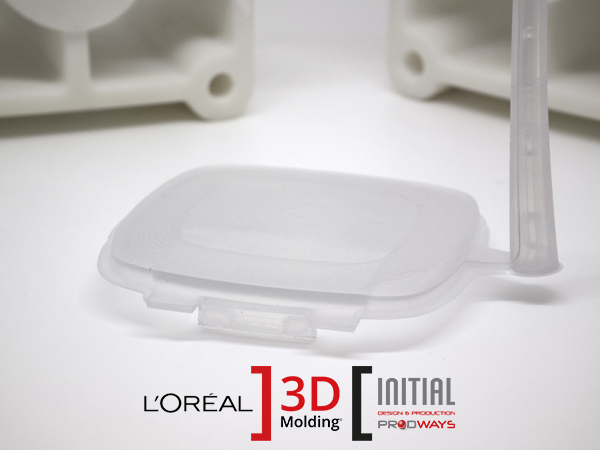 The collaboration between INITIAL, a Prodways Group subsidiary, and L’Oréal has paved the way to manufacturing final material parts using 3D-printed moulds. INITIAL accelerates the development of injection-moulded parts using plastic additive manufacturing and its new solution: 3D Molding®. The fast marketing of new products is a constant challenge to meet consumers’ specific and wide-ranging demands. This is a major issue in the cosmetics industry. L’Oréal, the global leader in this field, has unique research & innovation expertise. So with 3D Molding®, 3D printing combined with injection moulding appears to represent a real opportunity. INITIAL and L’Oréal have combined their expertise to accelerate the development of injection-moulded parts. L’Oréal is the world’s leading beauty product manufacturer, with sales of €26 billion in 2017 and nearly 7 billion products sold every year, i.e. one per year per inhabitant! INITIAL is the leading French producer of additive-manufactured parts. For the last 25 years, the Prodways Group subsidiary has worked to accelerate product development, using both its design and manufacturing skills. Their mutual quest for innovation and technical progress fits perfectly into the L’Oréal project “OPERATIONS 4.0 – OPERATIONS DIGITAL TRANSFORMATION”. An ambitious aim, in line with increasingly exacting consumer demands. INITIAL and L’Oréal chose to collaborate to enable them to produce “final material” parts, in a record time of two weeks and at a limited cost, paving the way for accelerated approval and iteration processes for the development of new packaging. These two production processes are often seen as rivals, yet they can form a strategic alliance: cutting the costs and lead times of traditional machining and paving the way for a new way of working. The production of “traditional” moulds requires lead times that are no longer compatible with the agility needed to innovate. This is where 3D printing proves faster. INITIAL provided L’Oréal with dedicated facilities, including an additive manufacturing site and a thermoplastic injection-moulding site. 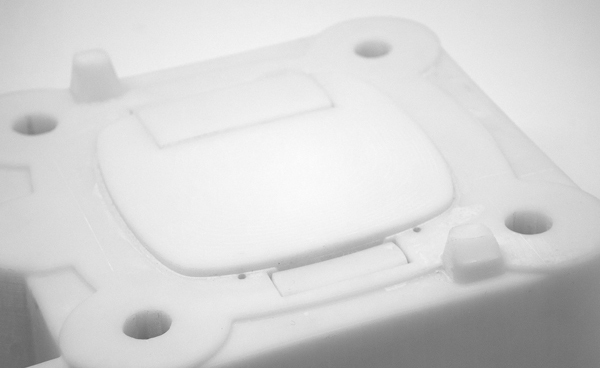 20 injection-moulding test runs and several hundred moulded parts. This marriage of machine and material comes from combining Prodways Technologies’ patented MOVINGLight® technology and Prodways Materials’ PLASTCure Rigid 10500 resin. This resin guarantees extreme accuracy and excellent resistance to injection-moulding constraints. Assistance from start to finish of the solution development process from Prodways Conseil. Relying on the potential of additive manufacturing with the French leader in this field was the obvious choice for L’Oréal to stay a step ahead as it transitions to industry 4.0.